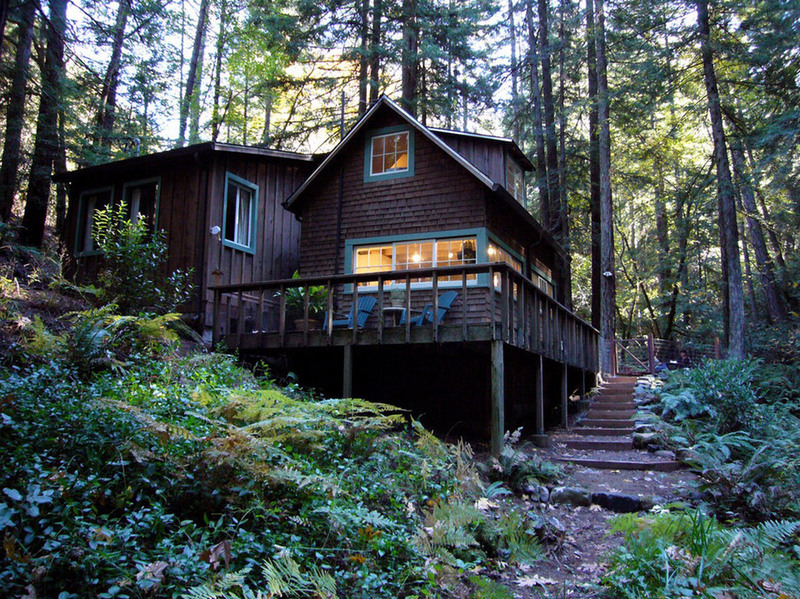 I'm off to Big Sur and Carmel this weekend with the hubs (who has to go to San Francisco for work), and I thought this little cabin resembled something straight out of my NorCal dreams when I stumbled upon the photos. 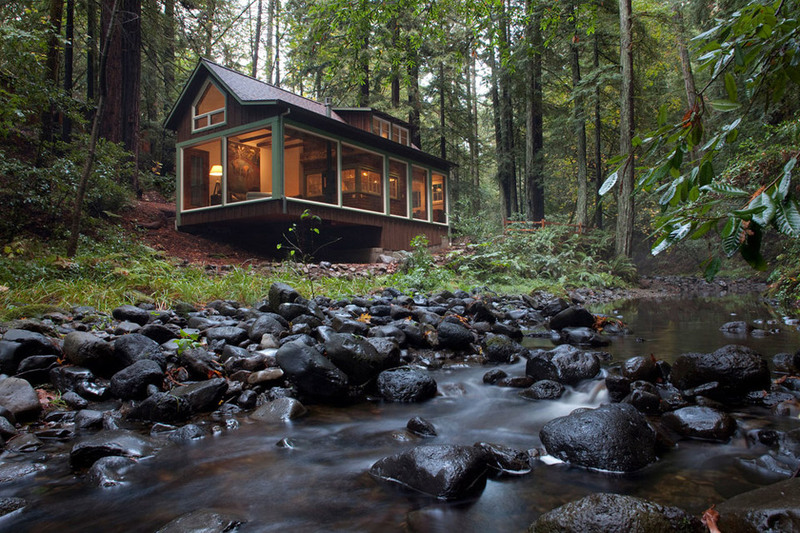 Lo and behold, the 1920s shingle-style home sits on a creek in Calistoga, deep in the heart of California wine country. 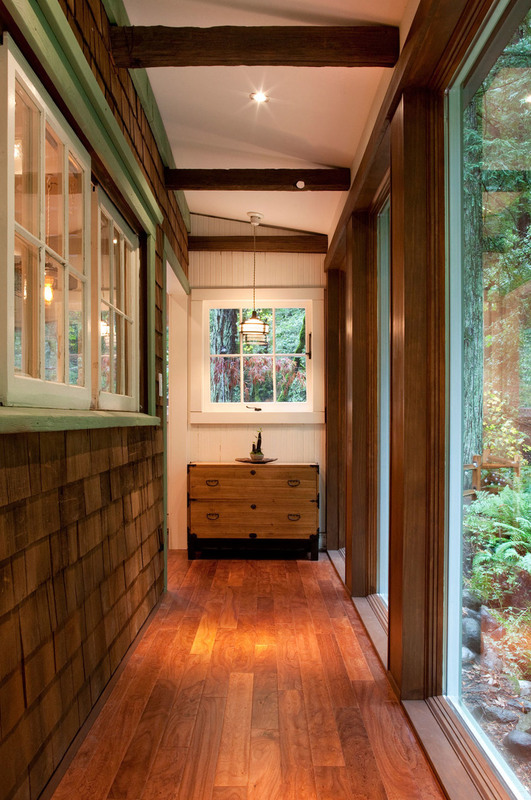 Situated among firs and redwoods, architect Amy A. Alper restored the cabin and created a new layout to maximize views of the seasonal creek below. 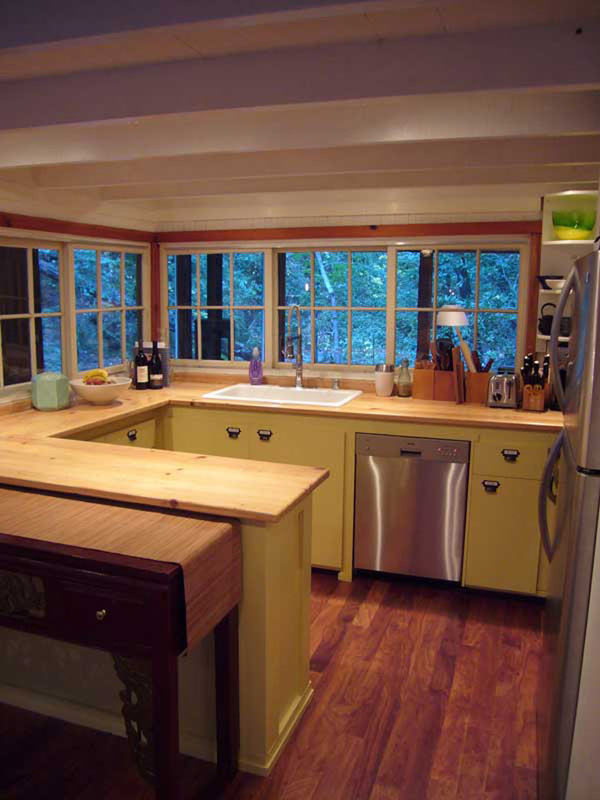 The architect designed a double-height living room addition to wrap the exterior, leaving original windows and weathered shingles intact. 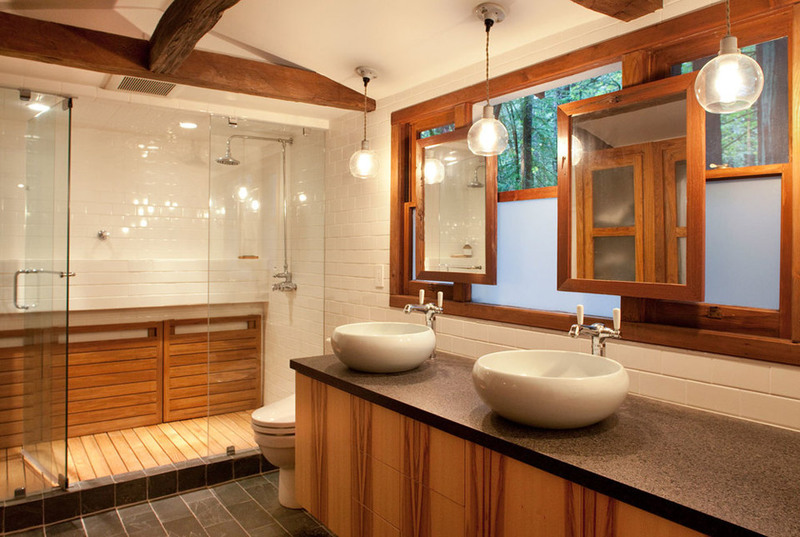 New materials contrast with the old and echo the surrounding woods. If this is what Northern California has in store for me, I'm good to go! 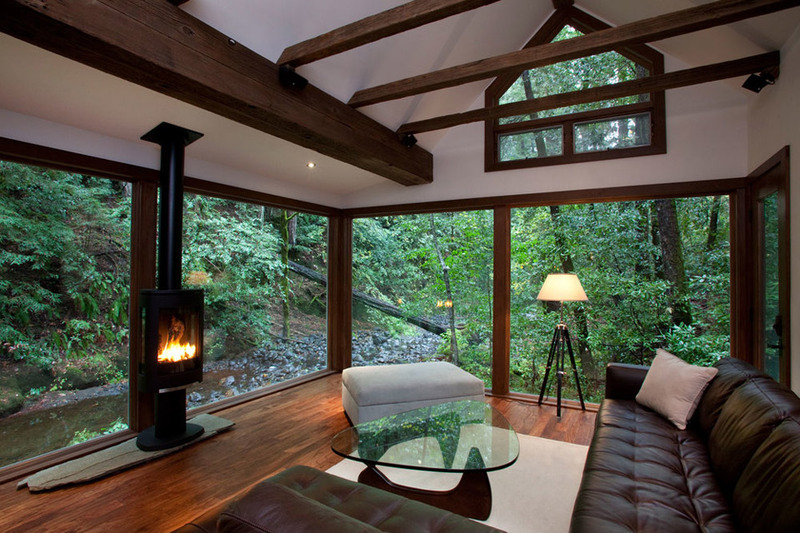 This place reminds of the Cullen's home in Twilight. It's beautiful but I would have to cover up some of those windows! OMG it's SO beautiful! 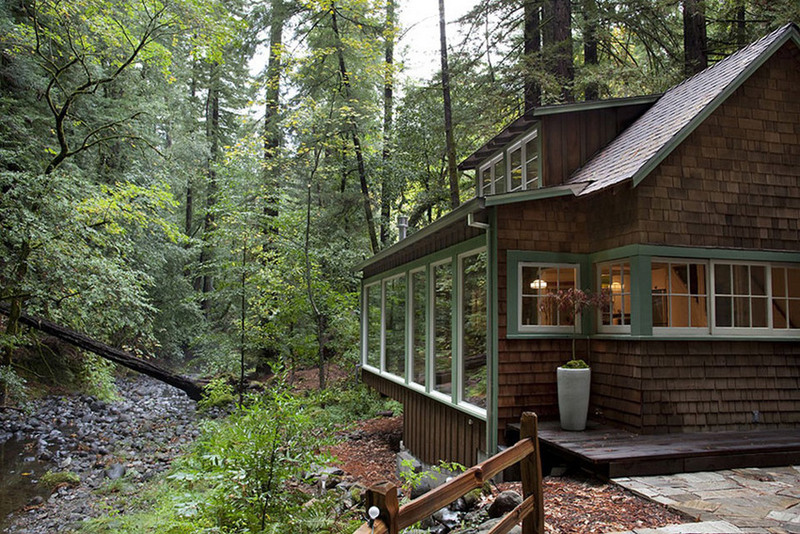 I love how secluded and quaint it is. 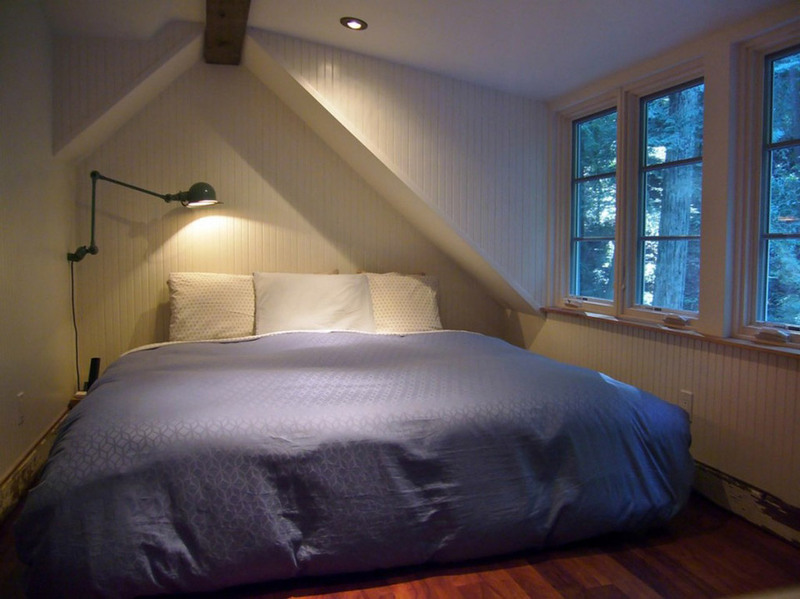 I wish it were on AirBNB because I'd totally rent it for a few nights! PS: I hope you have an awesome trip! So jealous! amazing! 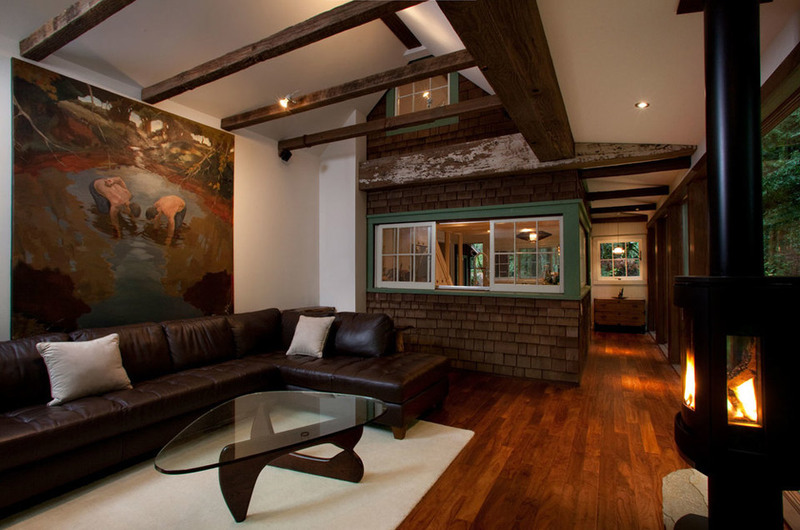 i love the 2nd pic room...all the windows and that fireplace(!!). 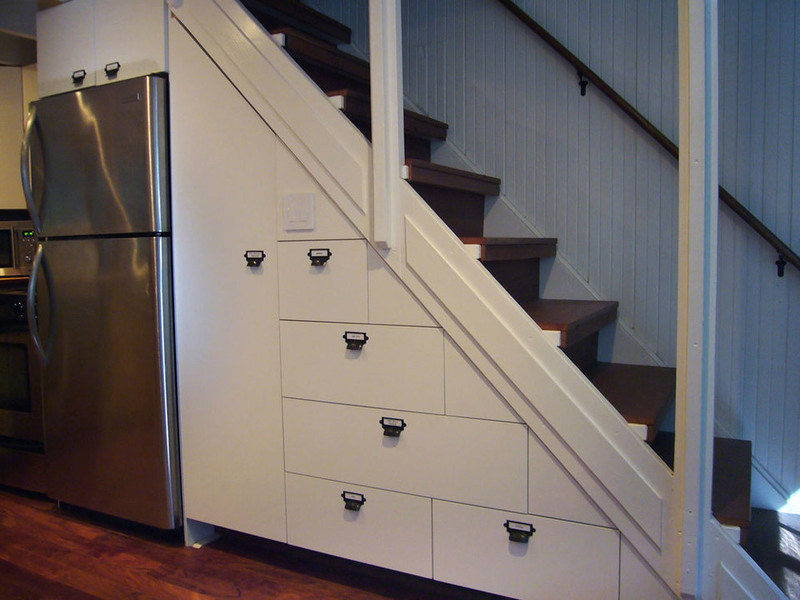 Great under stairs storage! enjoy SF! We have a show in the UK called grand designs where they go and follow some people who develop and build their own home, but they're usually a bit unique or unusual or super eco properties. This is what it reminded me of it's an amazing place.